JNN 01 Jan 2015 New York : The Obama administration on Tuesday bowed to months of growing pressure over a 40-year-old ban on exports of most domestic crude, taking two steps expected to unleash a wave of ultra-light shale oil onto global markets. The Bureau of Industry and Security, or BIS, which regulates export controls, said it had granted permission to “some” companies to sell lightly treated condensate abroad. Condensate is a form of ultra-light crude. Some two dozen energy companies had asked the agency for clarification on permissible exports earlier this year, but until Tuesday those requests had been put on indefinite hold. The BIS also released guidance in the form of frequently asked questions, or FAQs, to explain what kind of oil was generally allowed under the ban, the first effort by the administration to clarify an issue that has caused confusion and consternation in energy markets for more than a year. The two measures are clearest signs yet that the administration is ready to allow more of the booming U.S. shale oil production to be sold overseas, where drillers have said it can fetch a premium of $10 a barrel or more. They follow a year of murky messages and widespread uncertainty over what is or is not allowed under a trade restriction that critics say is a relic of a bygone age, when oil was seen as scarce after the 1970s Arab oil embargo. A domestic drilling boom of the past six years has transformed the United States into an energy powerhouse, boosting U.S. production by more than 50 percent and reversing decades of decline. Output of very light oil has been especially strong, leading to a glut that threatens to overwhelm domestic demand. The constraints helped fuel bumper profits for refiners such as Valero Energy Corp (VLO.N) and PBF Energy Inc (PBF.N), but angered drillers such as Hess Corp (HES.N) that say they were selling at a discount. 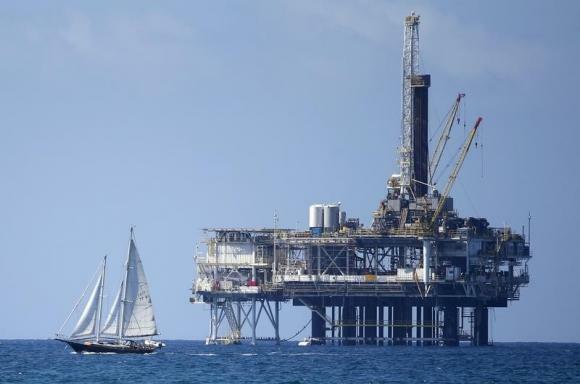 Jamie Webster, the senior director of oil markets at research firm IHS, said the FAQ “takes the leash off of (the U.S. Department of) Commerce” and signals it may take additional action on crude exports after several months of inaction. While likely to draw broad support from many quarters, the measures also open the Obama administration to attack by environmentalists and Democrats who may see it encouraging more hydraulic fracking and as a sop to big oil companies. This entry was posted in Articles, United States and tagged New York, Obama administration, Oil Market, shale oil. Bookmark the permalink.